Good. 0722119577 Slight mark to back cover of book. Fair. 0722119577 CREASES TO COVER. Fair. 0722119577 poor condition recomended reading copy only. Very Good. 0718122704 ALL BOOKS SHIPPED WITHIN 1 DAY OF PURCHASE! I absolutely love this book. If you are a fan of the Arthurian Legends, Magic & The Goddess then this book is for you. This book told by the women gives the legends a different perspective and incite to the trials and tribulations these characters had to go through. Skip the move and go straight for the book, the movie was nothing and a crappy change to the book. My daughter and I have read this book so much I had to get a second copy. Something different every time. It is a book I have yet to read, as I'm currently ploughing through another book, but this I'm looking forward to reading, when I get the chance. For me, this is the best telling of the classic tale that I have encountered, and I have been reading versions for more than 40 years. A masterpiece, indeed, with its only flaw being the occasionally noticable use of Americanised English. Sadly I have little positive to say about the authors other books, including those that loosely make up a "series" with this one. 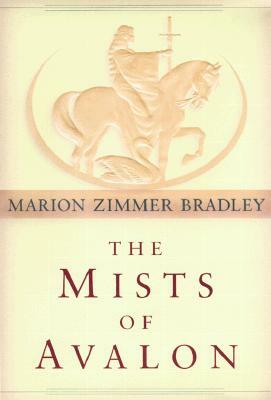 But with this to her credit, she need not be concerned by what may appear to be a negative statement, for the Mists of Avalon is inspired, and an inspiration to those with any interest in European pagan ideas.